Are you selling your home or investment property? "I guarantee the finest personalized service in the marketing and sale of your residential and investment property"
"My knowledge and experience in technology have proven to be invaluable to our clients in today's Real Estate market"
We are local Brooklyn Real Estate Brokers and we know Brooklyn Real Estate like no one else! Today's Brooklyn Real Estate market is more dynamic than ever! From Manhattan Beach to Park Slope, Sheepshead Bay to Carroll Gardens, Gravesend to Windsor Terrace, Cobble Hill and Boerum Hill to Bed Stuy,Brooklyn Real Estate is in high demand. Brooklyn Real Estate offers a rich variety of lifestyle choices. Brooklyn NY has become a more popular place to live, work and enjoy than any other New York City Borough. Brooklyn is now not an alternative to Manhattan but a first choice for a lot of home buyers. Whether you have a new house or an old one, an investment or a commercial property, a co-op apartment or a condo, Jeff, your local Brooklyn real estate broker, will help you to make the right decisions and guide you through the process of selling your property and making it a smooth and financially rewarding experience. Thank you! Thank you! Thank you! Jeff is an awesome real estate agent. He is courteous, professional and caring! The Accord Real Estate Group is a great team and I would highly recommend them! He was diligent about bringing only the right buyers to see the house and with his help we found the perfect people to live in our beloved home. Jeff always returned phone calls and emails immediately, and he made sure we got our price. It didn't take long Jeff had potential buyers in the first week the property was on the market, with a signed contract the week after. Jeff you're amazing, thanks for all your dedication and professionalism. Jeff we can't be more grateful. 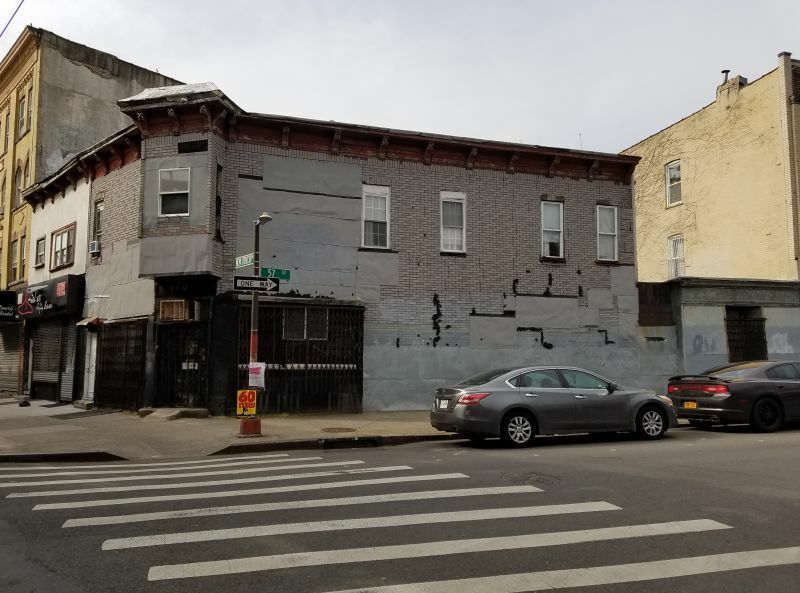 I recommend Accord Real Estate Group and Jeff Grandis to any of my clients, and to anyone looking for assistance with real estate in Brooklyn and the surrounding boroughs. Jeff Grandis is a highly talented and experienced broker. He is a master contract negotiator and he uses the latest technology and media services to represent your home or commercial property to as many potential buyers as possible. We have found Mr. Grandis to be experienced in real estate sales and to exhibit a high level of honesty and professionalism. Get expert advice on how to sell your Brooklyn NY property from your local Brooklyn Real Estate Broker with 30 years of experience. Visit our Brooklyn Neighborhoods Pages to read about Brooklyn NY Neighborhoods and to learn more about the many Brooklyn, New York real estate choices and opportunities. Find everything you need to know about selling or buying a home in Brooklyn, NY and search Brooklyn, New York real estate residential, commercial and investment listings and houses for sale on the Listed Properties pages that offers some of the best home and property values in today’s market. Use our Complimentary Property Evaluation form to find out the current market value of your Brooklyn New York home or property or please feel free to talk to our experienced and courteous real estate brokers and agents. 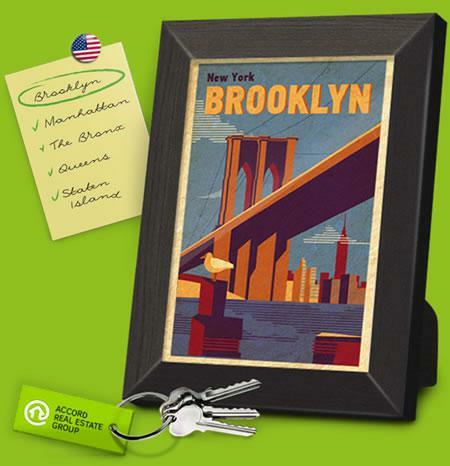 The first realtors in Brooklyn New York date back to 1905 when the Brooklyn Board was formed. The Brooklyn Board of Realtors is one of the oldest and most influential groups of its kind in the country. The Accord Real Estate Group is proud of their affiliation with the Brooklyn Board of Realtors as well as New York State Association of Realtors (NYSAR), National Association of Realtors (NAR) and Brooklyn New York Multiple Listing Service (BNYMLS). Experience the difference in working with our Brooklyn New York real estate brokers and agents who specialize in providing personalized real solutions to your real estate needs. If you are planning to sell your home or investment property in Brooklyn NY and want to find buyers for your home in the most efficient way possible, please contact us at Accord Real Estate Group today.